Barbara serves as Client Coordinator for Protective Financial Services. 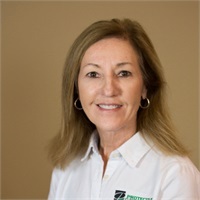 Barbara has been serving clients with Protective Financial Services since 2005. Barbara is responsible for coordinating and scheduling client reviews, creating and maintaining client records in the database, and client hospitality. She also processes all incoming and outgoing mail. Barbara is the contact for scheduling all client meetings. Barbara and her husband Kenny have been married since 1972 and live on Lake Sinclair. They enjoy spending time with their 2 daughters and 5 grandkids. They attend Lakeside Baptist Church. Barbara enjoys reading and walking.